Will Fuller tore a knee ligament in a win over Miami on Thursday. 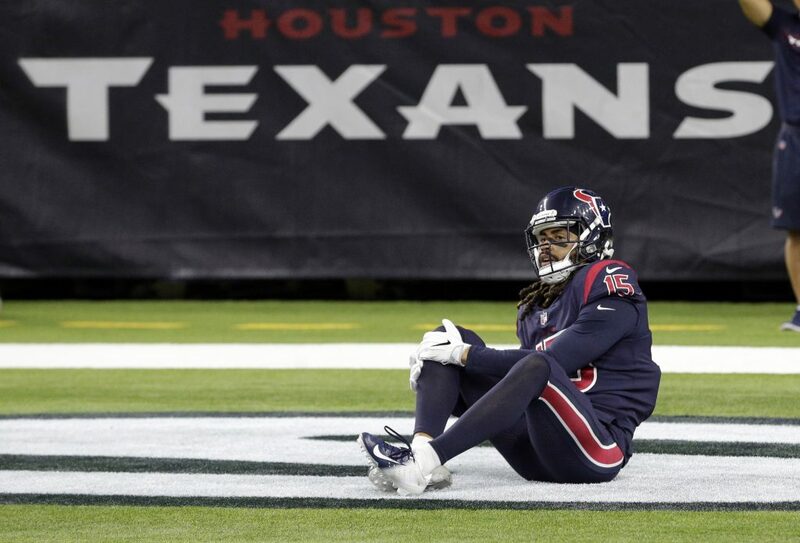 HOUSTON — Texans receiver Will Fuller has a torn knee ligament and will miss the rest of the season, a big blow to a team that has won five straight and is coming off a high-scoring victory. Fuller was injured during the fourth quarter Thursday against Miami when he became entangled with a defender and tumbled to the ground. Coach Bill O’Brien said Friday he doesn’t know when Fuller will have surgery to repair the anterior cruciate ligament in his right knee. JETS: Wide receiver Robby Anderson is doubtful to play at Chicago on Sunday because of an injured ankle that kept him out of practice all week. STEELERS: Strong safety Morgan Burnett will return Sunday at Cleveland after missing the previous four games with a groin injury. Burnett, in his ninth season, played in the Steelers’ first two games against Cleveland and Kansas City, but he has been out since Sept. 16 with his injury. This week was the first time Burnett fully practiced three straight days without any setback. EAGLES: Safety Malcolm Jenkins took a shot at Jaguars quarterback Blake Bortles while trying to make a point that Colin Kaepernick belongs in the NFL. “I can turn on the tape this week of our opponent and see that Colin Kaepernick deserves a job,” Jenkins said.